Confidence is something we all want, but not many of us genuinely experience. Instead, you might find that you are stuck in your head, listening to your inner critic telling you all the reasons why you shouldn’t be confident. As an Entrepreneur, you know how hard it can be to put yourself out there. It takes courage and confidence to be visible and to stand firmly in your message. Mindset is a massive piece of the success puzzle! This mindset kept me hiding. It kept me from putting myself out there like I knew I need to, in order to really be successful. It kept me locked into a place of feeling like a fraud and lacking the confidence to own the value I was offering. If so, I have designed this FREE Challenge just for you. Each day of the Challenge, you will be emailed a Worksheet with some questions for your self reflection, so that you will be prepared to get the most out of each call. 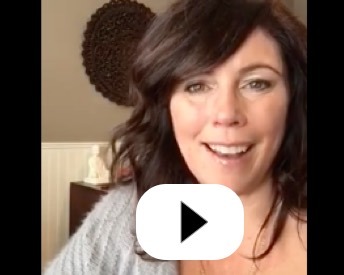 I will be LIVE each day at 10:00 AM PST in my Facebook Group (Women of Passion, Power & Peace), where I’ll deliver content and training, and be available to answer your questions. If you can’t make the live call, no worries! You will receive access to the recorded calls to watch at your leisure. -Learn my biggest key to breaking the cycle of negative self talk, and how I use it daily to constantly grow my business bigger than I ever dreamed! -Learn how to create confidence through the power of your mind so that you can charge what you know you’re worth and get clients that are happy to pay! -Create a clear, easy practice to keep you in your place of confidence and finally step into what you’ve always dreamed of: retreats, workshops, public speaking, live videos – you’ve got this! -Watch your business explode as you now have the ability to step boldly and confidently into the world and own your value! It’s time to take charge of that negative chatter and, once and for all, believe you are worthy of success! **Want to join a tribe of women who are just like you, where you can find support, encouragement and growth in your journey? I invite you to join my awesome Facebook Group!